Fall is in full swing here in New England and it’s time for the traditional and fun state fairs. 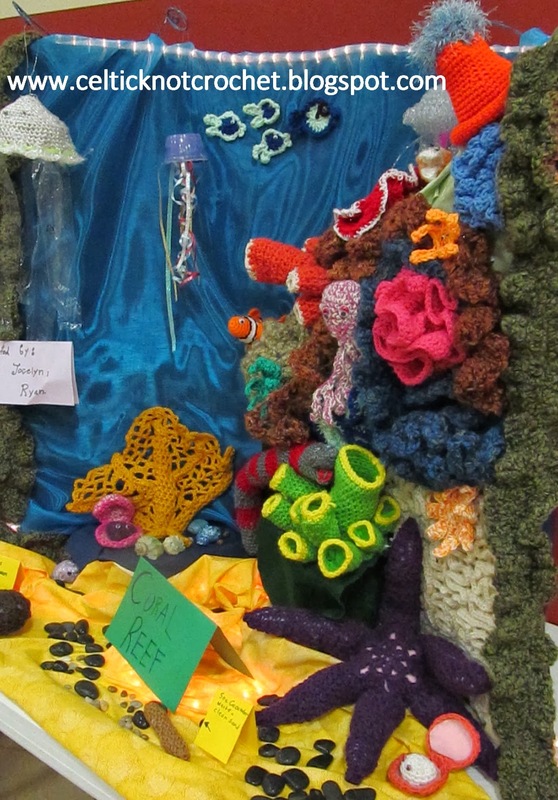 My daughters and I created a crocheted coral reef for a school project last spring after studying coral reefs and the creatures in them. 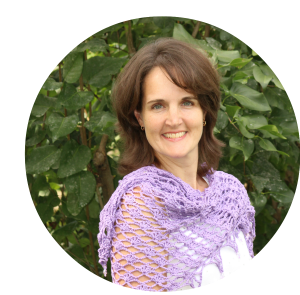 We had a great time experimenting with various yarns and stitches. For this year’s Deerfield Fair we added some new projects made out of paper and fabric. We were thrilled to see a blue ribbon hanging from our project while it was on display in the School Building. Please see the page on the left titled, “Our Coral Reef” to see more photos of each creature we included. 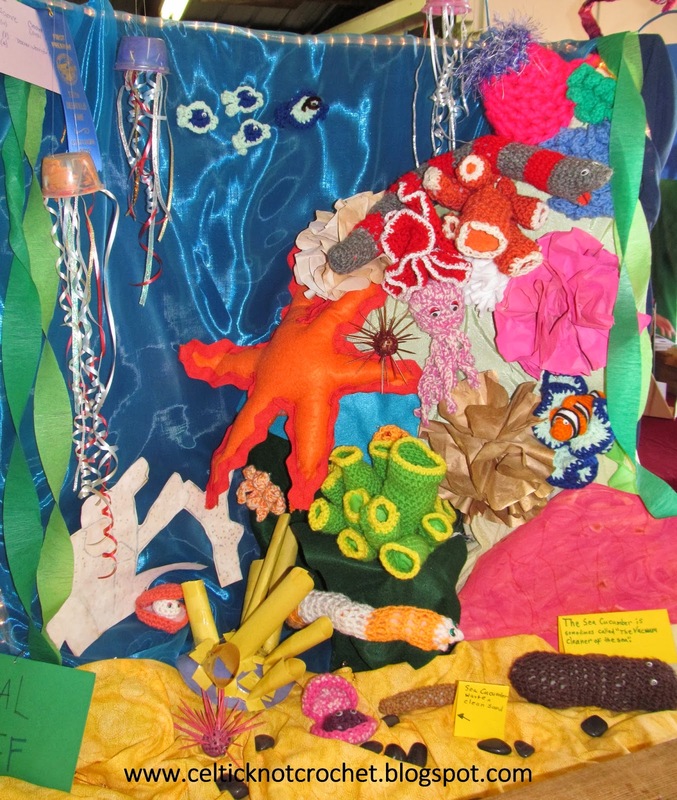 Here is the coral reef we completed in March – 100% crocheted. Farm Animal Hats - Crochet Today! Oh ! waouh! So lovelly and original! I am emotionned that you have made it both with your daugther, it is a beautifull relationship to tresor, what a magical complicity!